It is definitely time to stock up. There are so many different cereals as part of the deal that are not in the ad, so now it’s time to hunt some more coupons down! Here is what I did tonight, after going to 4 different stores! 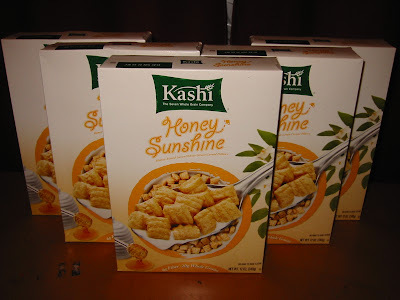 Kashi Honey Sunshine: $1.99 overage! = $1.99 overage OR FREE if your coupon only takes off the sale price. I actually did mine as part of a deal to use some of the super coupons. So I was trying to reach $20and I did no problem as it figured in the cereal price before the $5 deduction. (3) Reese’s Peanut Butter Cups on sale B2G1 free, used B1G1 from 8/23 SS, used (2) $.55/1 from 8/23 SS = $.26 overage! It worked, but the cashier had to push it through. Total: $2.51! I thought that was pretty good. 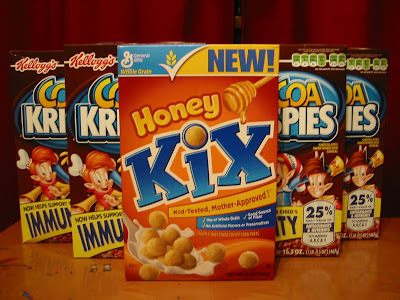 (4) Cocoa Krispies & (1) Kix: $.75! If I hadn’t used my Free Rice Krispies coupon on Sunday this transaction would have been free, but $.75 was good too. Once again, the Vocalpoint coupons made the difference, so if you haven’t signed up yet, do it now here! there are quite a few with no coupon match-ups, but $1-$2 a box with just the promo is still a great deal, as long as you like the cereal. Let us know what you are finding! Woops, sorry folks, I haven't checked the comments on this post for acouple days. Jaime, yes, you can do more than one deal in one transaction, but then you won't be able to maximize the $2 Safeway double, of course, if you don't live in OR or SW WA it doesn't matter…. Stacy, you can't print the Vocalpoint coupons from their site, they have to mail them to you. Sign up now and you will start getting other great coupons though! Amen Stacy! I can't figure out where to get their coupons either, even though I am registered! I am wondering how you get the coupons on vocal point? I have been on the website a few times and can not figure it out. 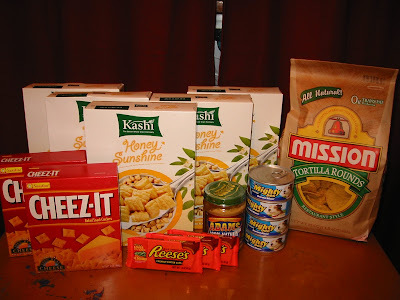 My cashier also took off $3.99 for my free box of Kashi. Honey bunches of Oats is also included as well as Just Bunches. I had $1/2 coupon for those.